In honor of World Autism Awareness Day, AEW released a one-of-a-kind shirt that is available for today only. 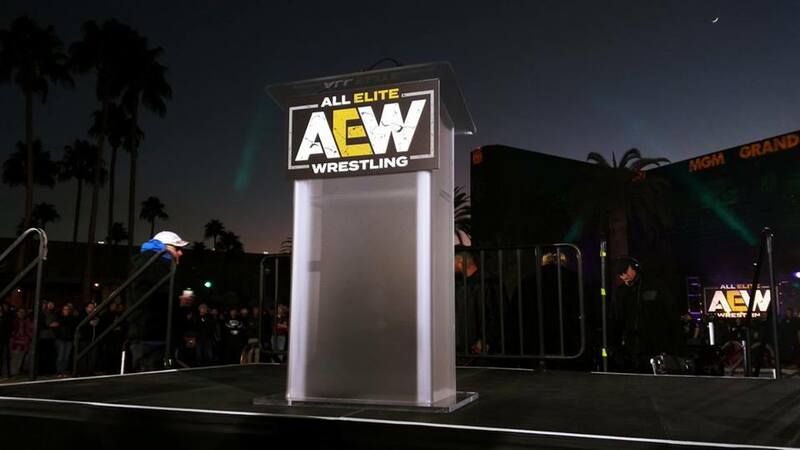 The shirt has “AEW Is For Everyone” printed on the front of the tee with a Kulture City logo on the back of the shirt. This is the only day that the shirt will be available and 100% of the sales will be going to the organization in helping to build Sensory inclusiveness. Tuesday is World Autism Awareness Day! For ONE DAY ONLY #AEW x #KultureCity Shirts will be available for purchase! 100% of the proceeds go to @kulturec to help further Sensory Inclusiveness! Kulture City is an organization focused on making live events with a lot of sensory stimulation more enjoyable for people with heightened sensory abilities that range from autism to anxiety. All Elite Wrestling will become the first wrestling company that is sensory inclusive once Double Or Nothing takes place in Las Vegas Memorial Day weekend. KultureCity is an organization that is devoted to making as many large-scale public events “sensory inclusive” and what that means is making it being able to experience at its best by people who deal with certain issues like autism, PTSD, if they suffered a recent stroke, if they have really high anxiety, those are kind of some people that KultureCity aims to help. And the ways in which these events can be challenging for these people is if they have sensitivities to different things that their senses are effected by like really loud sounds which we all know if we’ve ever been to a live wrestling event, it is very loud, especially if when you have pyro and even the ring itself is just loud with the noise that it makes when the bodies hit the ring and then lighting. You have a lot of different fireworks and sparklers and sometimes trons and entrances are very elaborate and there are a lot of strong smells and things that happen at these events. Sometimes they can be overwhelming. These shirts are available for sale at Pro Wrestling Tees.